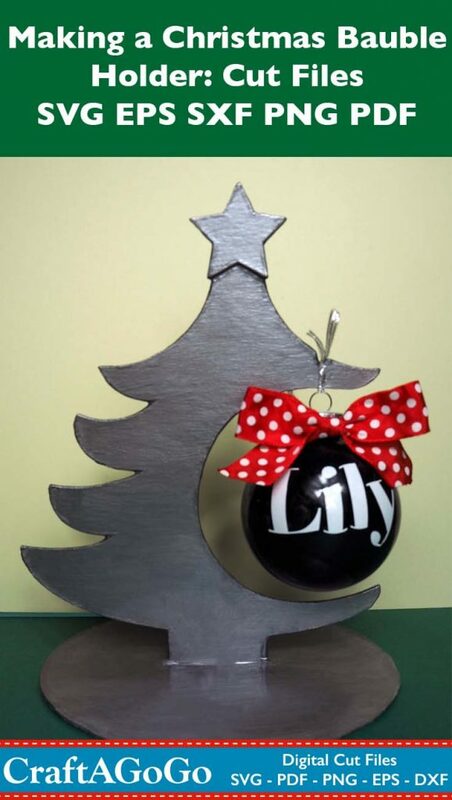 I know a lot of us make baubles on our Cricut machines – but have you got anywhere to display yours? 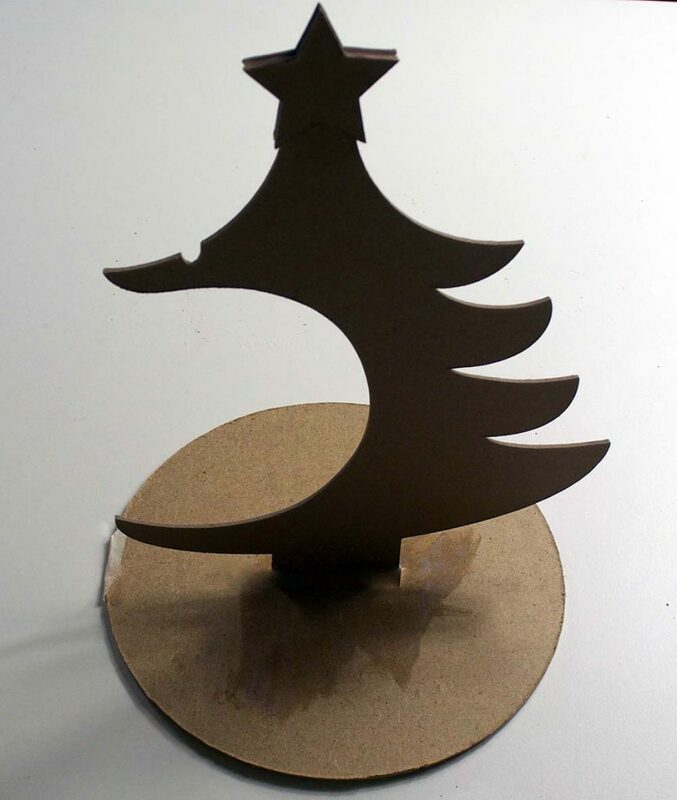 There’s no need to use a banana hook – you can make a Christmas tree-shaped bauble holder on your Cricut Maker! 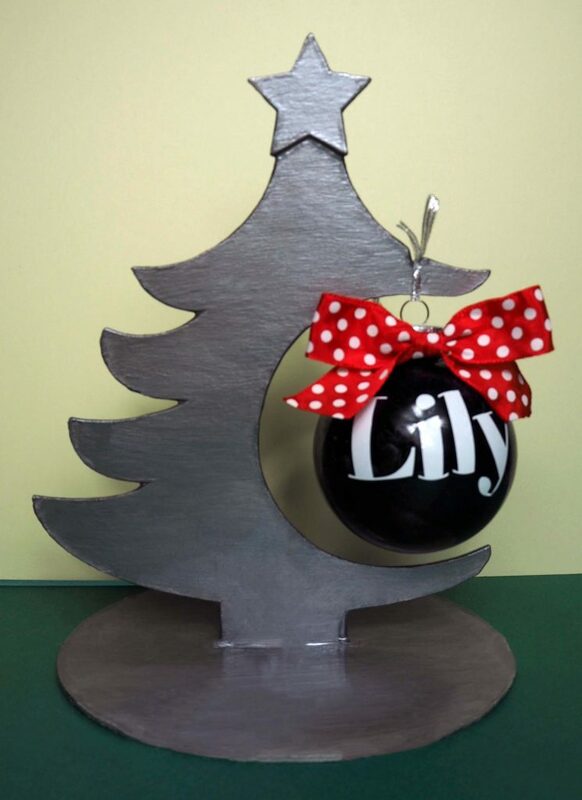 It’s SO EASY with our cut file – you have to cut out four shapes and glue them together – and it enables you to make a Christmas Tree-shaped bauble holder that you can use to either display baubles in your house, or use as a fixture in your local craft fair or for photographs, if you’re an Etsy seller. 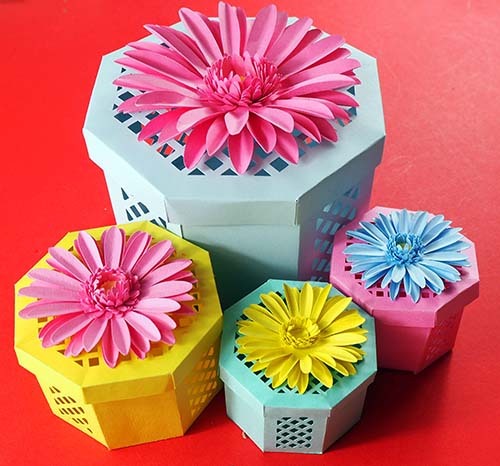 (And – if you are an Etsy seller – have you got my free cheat-sheet on Etsy for Crafters?) 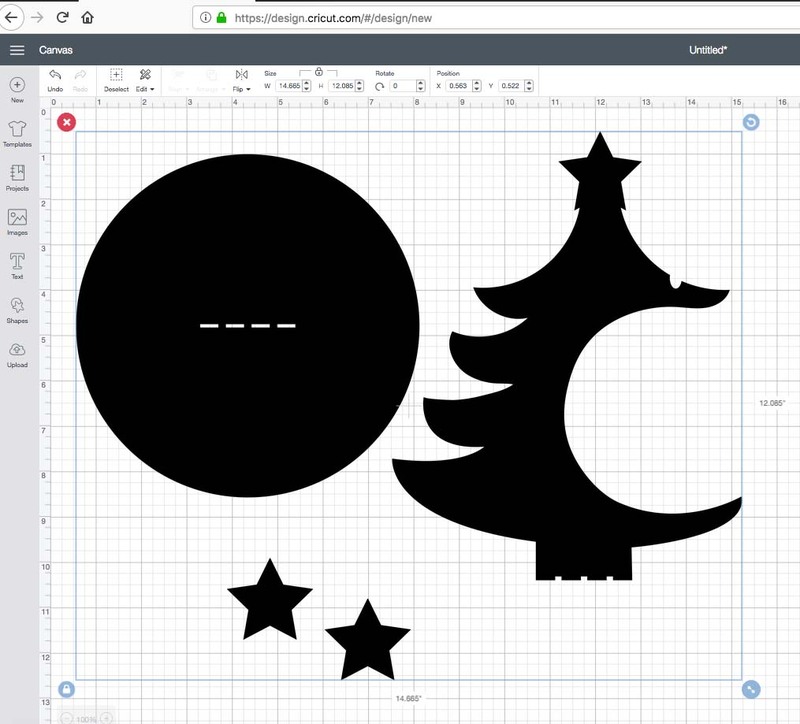 The version above is holding a bauble that’s 8cm in diameter, though since these are vector files you can make them larger or smaller (though of course you’ll be limited by the size of your cutting mat). Choose the file you’ve downloaded – it’ll be ‘christmasbaubleholder.svg’ (or whatever format your machine uses). Your canvas will show the design. Click on the design on the canvas and choose ‘Ungroup’ from the top of the right-hand margin. Your pieces are now ready to cut! Choose the setting ‘Heavy Chipboard (2mm)’ and ‘Make It!’ (You don’t get the option to apply More pressure when you cut chipboard as it’s already pretty aggressive…however, you will be instructed to ensure your star wheels (that is, the four white rollers that are distributed across the chrome bar at the front of your machine) are to one side. 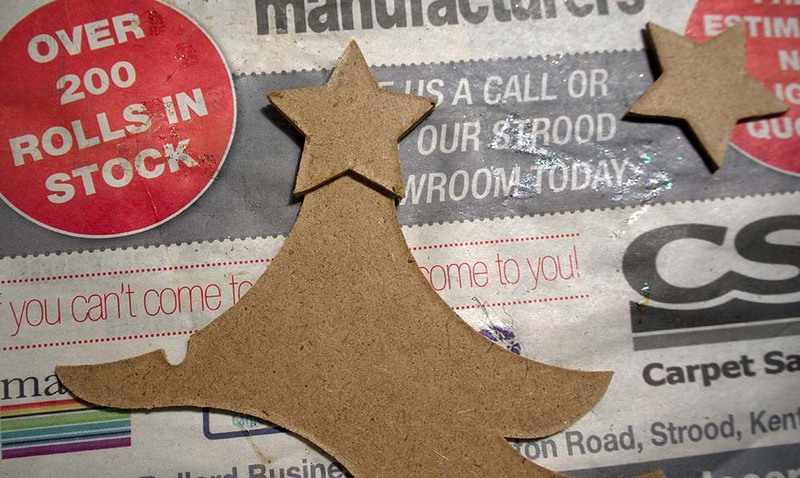 If you don’t do this your chipboard won’t fit under the mat). 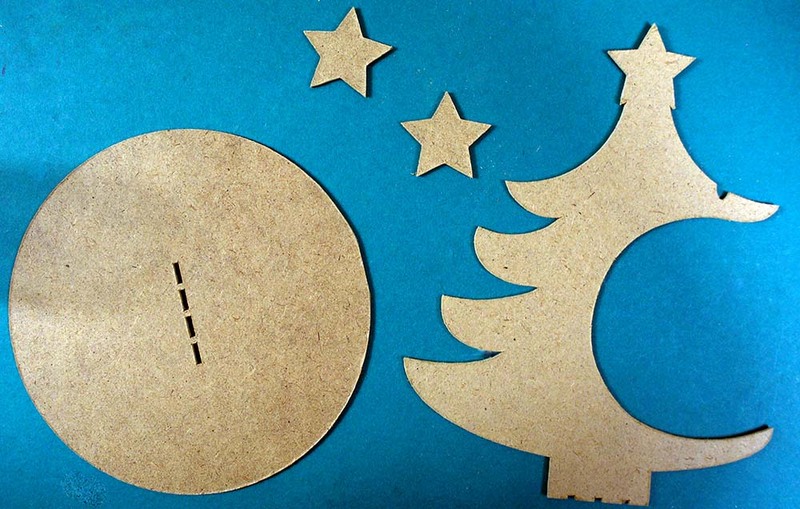 As the largest piece of chipboard you can cut on your Cricut Maker is 11″ wide, then the mats that are shown as you go to cut out your material will be distributed across two sheets of chipboard (though you can of course click on ‘Edit’ beneath the mats if you want to position the stars elsewhere on the mat for the least wastage! 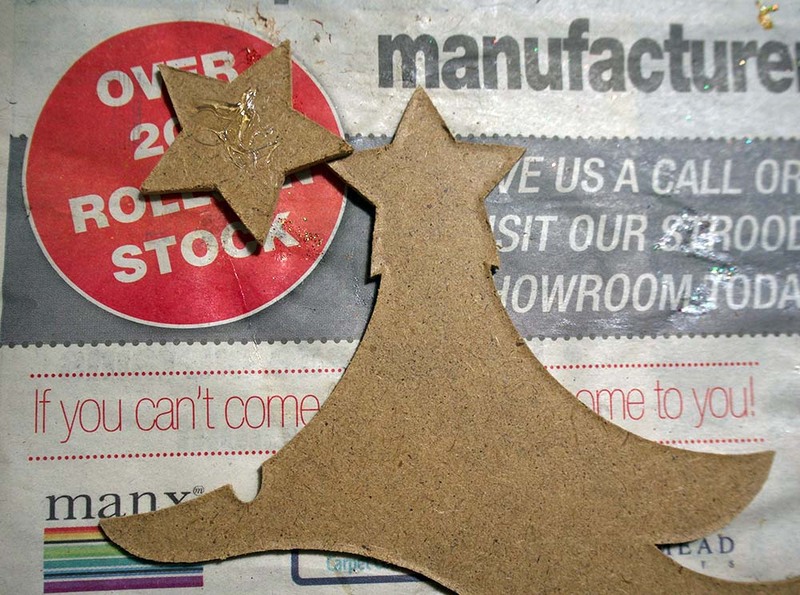 Apply glue (I used a glue gun – I find it by far the best option when working with chipboard) to the back of one of the star pieces. Matching all five points, attach the star to the tree shape. Liberally apply glue to the slots in the base. This may look messy, but you’ll smooth it out (and paint over it!) and you really need to do this to make it secure. Insert the end slots on the tree-shaped piece into the corresponding end slot of the circular base. Once completely inserted, you might want to also apply glue around the slot (and then wipe it one it’s cooled a bit, so that you don’t have lumps on the surface). 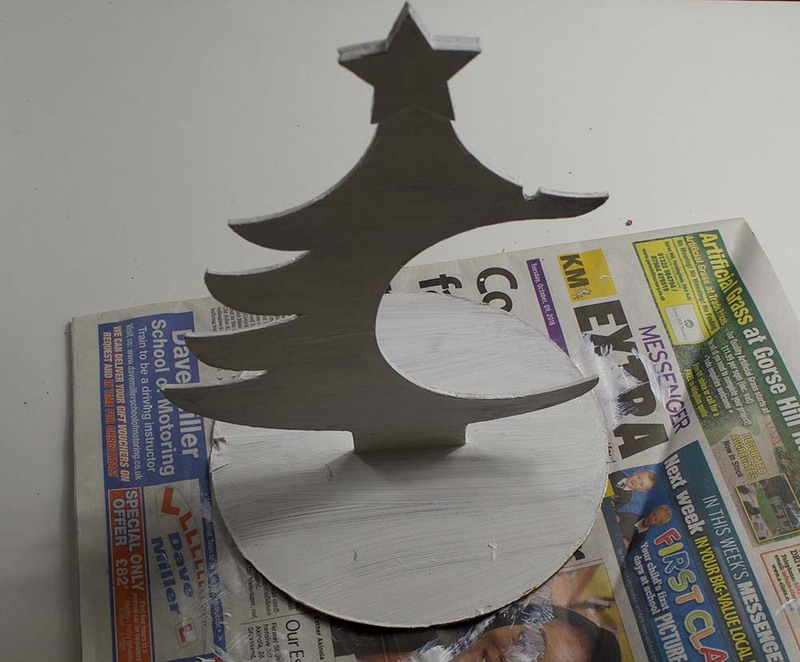 Just make sure that the pieces are fully inserted, and that the tree piece is at a right angle to the base. …and underneath! Sorry – this is a real close-up…you can even see the glitter from eight projects ago that now ends up in EVERYTHING I do (even if it’s just going to the shops!) The important thing is to just ensure the glue seeps between the joins in the slots. I left it overnight just to ensure it dried. 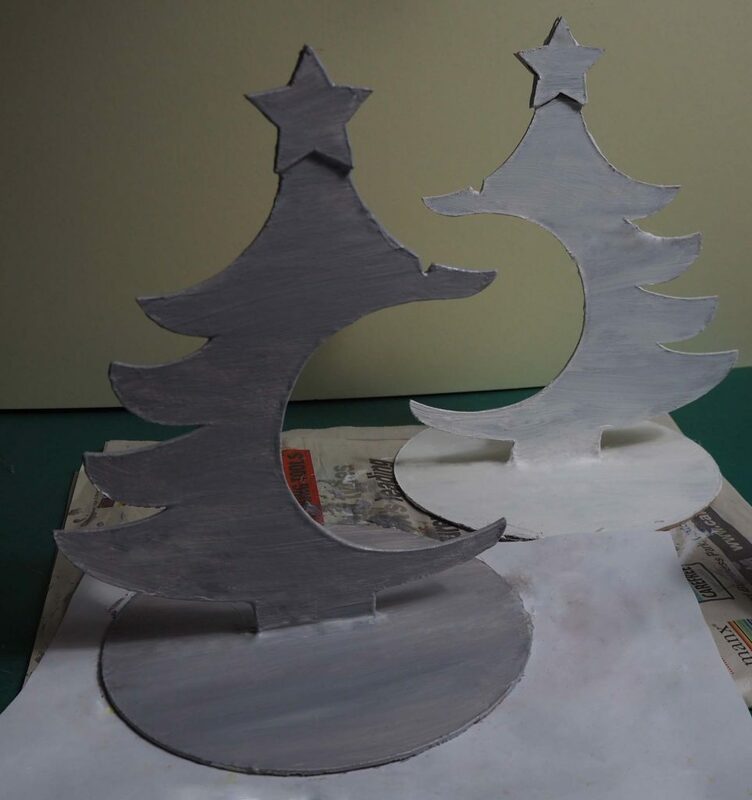 Once the glue is dry, you can paint your Christmas bauble holder. I used white acrylic paint as a base. 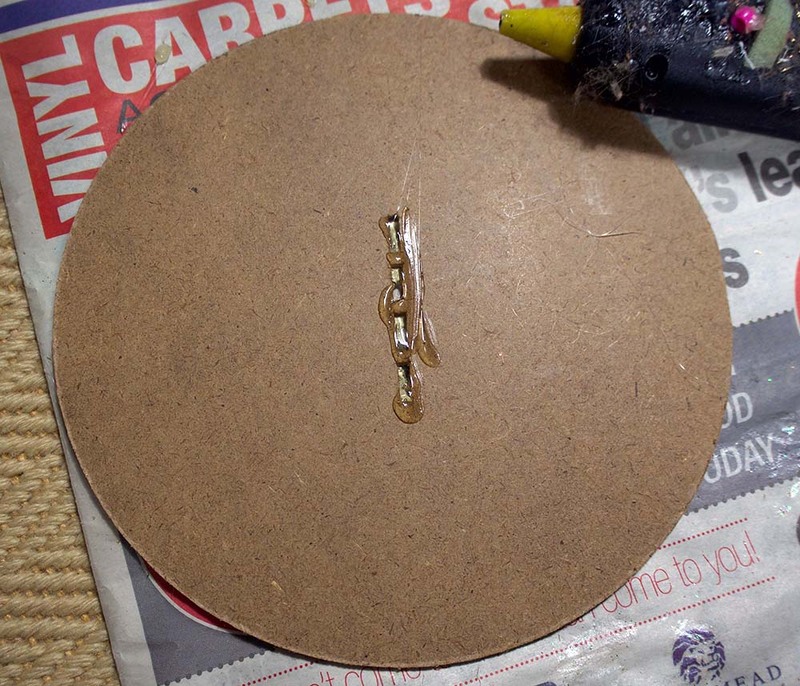 Although a thin layer of acrylic paint can dry in half an hour, thicker layers can take two or three hours, and I find that I need to apply a few layers before the chipboard is covered properly. I then applied Shimmering Mod Podge (this needs to be applied thinly, with 15-20 minutes left between coats). At each stage, though – be prepared for it to look a bit of a mess! When you’ve built up the layers it’ll look better! You just need to allow it to dry, and be prepared to build it up in several layers. I used about four layers. And this was my result!